The book Sustainable Land Management: Learning From the Past for the Future provides a summary for ‘Anthroscpaes’ – those landscapes impacted by humans. These landscapes are affected by culture and history, thus, the book attempts to examine sustainability through space and time, recognising the fluid nature of landscapes. 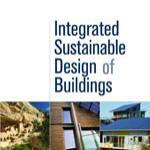 It includes a compendium of topics, combined to provide a glimpse into issues ranging from sustainability to development to land use quality. Sustainability is sometimes depicted as endpoint, a goal reached that is easily identifiable, static and readily achieved if certain actions take place. But in reality, such is not the case. Landscapes are more often than not impacted by humans. The editors of Sustainable Land Management: Learning From the Past for the Future call these landscapes ‘Anthroscapes’. 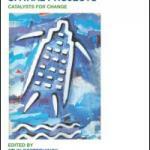 The editors have produced a compendium of chapters that discuss the relationships of culture, land use and history to issues of sustainability and development. To do so they include current research data and results for locations such as the Seyhan Basin in Turkey, Murcia Region of Spain, Morocco, Taiwan, China and Sardinia. Issues like soil erosion in the Middle Eastern Anthroscapes are described together with charts, maps and expanations that detail how landscape topography, soil types and water all combine to created unique conditions that impact sustainble possibilities in those areas. We learn about afforestation and it’s impact on landscape moisture, soil quality and land suitability. Indeed, the editors suggest that historical approaches that aim to create land use suitability classes, ought to consider setting their directions toward establishing land use quality indexes instead. Forests in Yatir, Israel are researched in presented in a chapter. Several variables are measured and the data is included. Issues related to community measures are included, such as plant species and their distribution and spatial relationships. These information point toward collections of factors that more or less correlate to given species or communities of plant relationships. The characteristics of landscapes surrounding the Mediterranean Sea are also described. 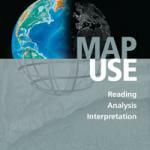 Twenty-two major regions around the sea are presented, making this book a valuable resource for understanding the nature of land use in the Medterranean areas, climate, soil relationships and land use impacts. North Africa is also included into these presentations. This area is expected to have a population of 517 million people by 2020, and this growth will need to be managed with respect to resources and population. While the editors include data on economics and GDP for many regions covered in the discussions, a significant amount of information relates to soil data, soil quality and factors relating to food production, water and liveable areas. The case of the Italian Alps is explained, for example, wherein issues debating the anthroscapes surround their being positive, ameliorative and sustainable as compared to worsening, negative and unsustainable. It is probably not too surprising to learn that human landscape changes involving ski slopes often upset ecological regions in a negative way and that mining, industrial activity and waste lands are also negative impacts. But positive changes are also taking place such as mountain terracing, archaeological and historical settlements and landscape patterns that create diverse land use leading to higher biodiversity and sustainable pastures. The Clay Soil District of eastern Norway is explained in another chapter. That region is noted for the higher clay content in the area together with topographic considerations. “Norwegian Forest and Landscape Institute developed a national landscape reference system. This system is hierarchical, dividing the country into 45 landscape regions and 444 sub-regions.” This area is the largest cultivated area in Norway, therefore it receives a significant amount of attention with respect to land degradation. This might be expected to a higher level, especially where Norway only has 3% of the total land area devoted to agricultural practice. Forestry is the major anthroscape to be considered in the country. The soils of Sardinia are investigated in depth with respect to soil characteristics. The American Civil War gave rise to the use of cotton from Turkey and Egypt. As cotton was produced for that war, use increased throughout Europe, and that in turn increased the growth of cotton in regions around the Mediterranean. British, French, German, Dutch, Italian and Austrian bankers poured into the Adana region and that in turn changed the nature of land use. By the 1970’s this pattern had again changed as cotton was not economical grown. 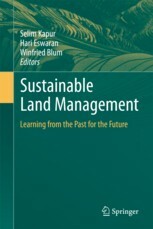 In summary, this book provides a well-rounded summary of sustainable land management in relation to culture and history. It aims directly at the matter, often pinpointing soil quality and land use due to population and economic change. There is a considerable amount of scientific data presented in the book, perhaps making difficult for non-professionals to understand, nevertheless, the data and tables are fairly straightforward and often tie to the discussion closely and are explained throughout. I wished that the land use maps were in color, which really does make it easier to see and understand such maps when in print. 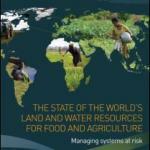 Sustainable Land Management: Learning From the Past for the Future is a very good collection of presentations. The principles of sustianability and land management are readily explained through a variety of locations, particularly around the Mediterranean Basin and others, which provides readers with clearly identifiable regions that they may live in or be familiar with. The editors provide ample discussion about Anthrscapes and this helps to engage readers to think more about the changing evolution of land management sustainability.